Empowering employers to efficiently and cost-effectively hire temporary staff. 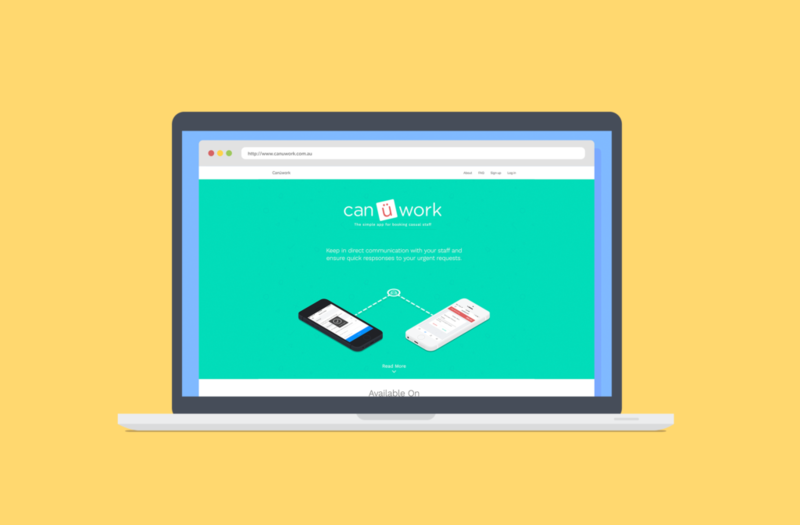 Canüwork is a subscription-based service for employers to quickly and easily find and employ temporary staff as needed. Papertank were approached to design and develop the mobile app, an admin system, and the front end marketing site. Simple on the outside, complex in the middle. While the design might look clean and minimalist, canüwork carries underneath it’s shell one of our most complex and ambitious projects to date. The core system allows employers to find temporary cover for absent staff by sending out invites to a set of individuals chosen by themselves. At it’s heart it’s a simple and effective idea, but there’s more to it. Instant messaging, inviting users to join organisations rosters, time limited response and the ability to prioritise which contacts gets to see the invite first are just a handful of the features that were required on this build.